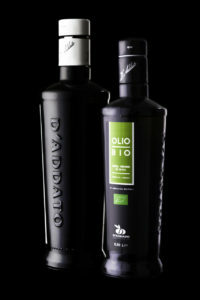 D’Addato Agroalimentare produces high quality Extra Virgin Olive Oil since 1910. Only ExtraVergine Olive oil, obtained from the selection of the best olives of Puglia, is produced respecting the ancient tradition of olive oil, combined with the most modern technologies of extraction and bottling. D’Addato is based in Bisceglie and is judged by the fourth generation of the family. Constance and care in producing high quality Extra Virgin Olive Oil remain unchanged. The choice in the field of the best raw material, together with the attention in the processing and conservation of the finished product, helps to create a culture of oil that manifests itself with its nuances of flavors and aromas in our products. More than a hundred years have passed: it was 1910 when Girolamo D’Addato, great-grandfather of the current owners, founded the eponymous oil mill in the town of Bisceglie to transform the raw material of the neighboring lands into a product that then took the streets of the world. After about twenty years of work strongly oriented to the qualification of the product, Girolamo leaves the baton to his son Antonio, an enterprising young man who immediately buys an alcohol factory and transforms it into a new crusher still owned but not home to the current company. But the strong vocation in the production of oil does not stop here and also infects the new generations: at the end of the eighties, Antonio and Michele joined his father Girolamo in the management of the mill and the family farm. D’Addato agroalimentare has always been owned by the D’Addato family. Michele, the current director, has led the company towards internationalization, while his brother Antonio has innovated the technology and production processes. All D’Addato’s innovation at the service of the excellence of a final product that is an oil of great quality, which offers an extraordinary sensorial experience of smell and taste. Thanks to our enthusiasm, our values, our teamwork, we want to delight all those who, in the world, love quality and take care of their diet through the use of the best oil that nature, modern technologies and research of taste can offer. We want to be, in our land, the point of reference for the culture and the excellence of the oil. We are an innovative company that offers the best products and that thanks to it grows and becomes the protagonist. Our guiding value is the passion for healthy daily nutrition: for you, your family, your customers, understood as love for the good. We want to improve the quality of life of our customers, driven by passion in everything we do. of all of us of D’Addato is to produce, from the best olives of Puglia, quality oils in the variety Delicato, Fruttato, of Outcrop, D.O.P. Land of Bari, from Organic Agriculture and from Coratina monocultivar. Passion in work leads us to the preservation of traditions, respect for people, the environment and awareness that, in any case, the best quality must be accompanied by the best price through cost control. We love and respect the earth: a choice of life. We are in Bisceglie, on the Adriatic coast, about 30 kilometers north of Bari. Our territory is among the most prolific and rich in olive trees in all of Italy thanks to the beautiful location, the favorable climate and the centenary experience of our people in the olive cultivation. All this makes our land unique in the world olive oil landscape such that it has always been defined, the area of ​​the Extremissimo to underline that the Extra Virgin Olive Oil produced here has no equal in the rest of the Mediterranean basin. 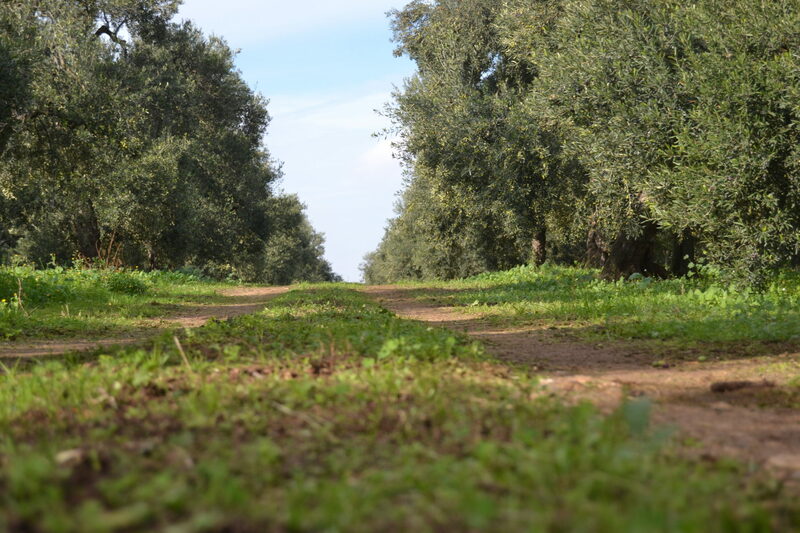 Olio D’Addato loves the land cultivated well, cured, chooses cultivation systems, harvest management that do not damage the humus, indeed, protect it. He works together with olive farmers for a healthy and fair harvest, because the land belongs to everyone, transmitting his knowledge, buying the best olives, in a total commitment of engaging collaboration between farm and farmer. These principles are the basis of the “sustainability” Olio D’Addato: economic, social and environmental that means starting from the care of the plant up to the oil on the table. we are convinced that the best quality should not result in a negative environmental impact. We are always looking for new solutions to minimize the consumption of energy to be discreet in our impact on the environment, producing part of the electricity with a photovoltaic system and the thermal energy with our own olive oil boiler extracted from the pomace obtained from Working process. We work closely with the best farmers to share the best working conditions while respecting the environment in which we live and the product we work.